What if the package check-in process were one step? Who would do it any other way? No one, that’s who! 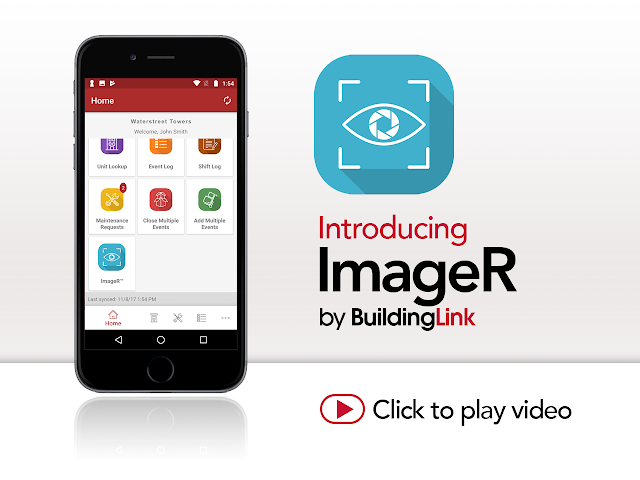 With BuildingLink’s ImageR™, your lightning-fast one-step package solution is here! You’ll never need to do it the old way again. We named our invention ImageR because it uses Image Recognition, artificial intelligence, and Optical Character Recognition (OCR) technology to make the check-in process effortless. How effortless? Just take out your Android device (with the GEO® by BuildingLink app on it), tap the ImageR icon, and point the camera at the shipping label. When you hear the distinctive two-tone beep, that means you’ve logged the package successfully. Then, press “Save.” That’s it! ImageR works like magic. It takes a multi-step process and reduces it to just one—snapping an image of the label. It’s fast, it’s easy, and it’s fun! Every time that app beeps, you and your staff will smile, knowing that you’re saving a ton of time. Let BuildingLink’s AI- and OCR-powered solution crush your tedious package-tracking workload. ImageR is a new AI-powered feature within the GEO app that’ll save your building’s team tons of time by turning your Android device into a label reader, barcode scanner, data parser, and resident name matcher, all in one. Is the package log-in process with ImageR really just one step? Yes! Don’t take our word for it, check out this quick video and see for yourself. Go ahead, we’ll wait. See? It’s so simple! Anytime you need to log in a package, click on the blue ImageR eye icon inside GEO and point your device’s camera at the package label. A distinctive pair of beeps tells you it’s successfully captured the information. You’ll be able to confirm that the correct resident and package info has populated into the various fields, and have the option to add a description. Hit “save”, and you’re done! The notification automatically goes to the resident and you move on to the next package, or the next task. ImageR works on dry-cleaning, florist, and pharmacy labels too! ImageR cuts your average package-handling and -entry time from 52 seconds down to about 8 seconds. Think of the hundreds of packages that your building staff checks in each week. Now think of all the time and mistakes that ImageR will save them. It brings you speed, accuracy, and friendly beeps in one package. What data does ImageR actually capture? 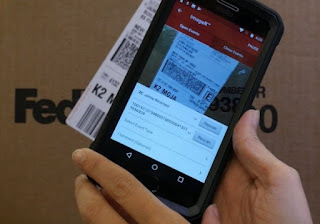 ImageR uses powerful AI and OCR systems to pull in the writing on the address label, figure out who the right recipient is, find them in your building database, confirm the unit number, and create the notification that a package has arrived for them. Multiple barcodes on a label? No problem—ImageR figures out which one is the tracking number, who the carrier is, and selects the correct event type (i.e. FedEx, Amazon, etc.). Does ImageR also speed up the step of closing out package deliveries? Yup. Just open up ImageR and scan the label of the package to be handed out to any resident. ImageR’s AI system automatically pulls up the right record, then the resident can enter their signature (right on the device), you click “close,” and it’s done! Isn't this what a regular barcode scanner does? Nope. It's much more! A barcode scanner just captures the barcode; ImageR pulls in all the information on the label (name, unit, barcode, shipper) and matches it to your resident database and event type list at the same time. Can I still use the full version of the site while using ImageR? Of course! ImageR can be used in conjunction with the site or on its own. Can I use ImageR for other purposes, like scanning visitor IDs? Great question! Not yet. But we’re working on it! How do I get ImageR? If you’ve got an Android device, you’re just a click or two away from having ImageR. Download the latest GEO by BuildingLink app from the Google Play store, or update your existing GEO app to the current version (V2.0.0), then look for the ImageR icon when you open up the app. Don't have an Android device and wondering which one you should pick up for best results with ImageR? We're recommending the Motorola G+, 5th Edition. Still have questions about devices? Email support@buildinglink.com and we'll be happy to help. Can I get ImageR on my iOS device? Unfortunately, not at this time. The unique computer vision technology powering ImageR is currently available only for Android. We’re busily seeking out a toolkit for iOS, and as soon as we have an iOS version of ImageR, we will let you know! Are you talking to a leak-detection solution provider for your building? If so, this blog post will help when the inevitable question comes up: "Do you integrate with BuildingLink?" Over the last year or two, we have become acquainted with several companies that offer leak-detection equipment and/or monitoring services for apartments in residential buildings. Leaks are a huge headache—in our recent survey of 137 senior property managers covering use cases for BuildingLink’s Aware Sensor initiative, water leaks and the damage they cause were the #1 most universal pain point across nearly all management companies surveyed. While BuildingLink’s Aware! sensors team is working on some exciting and highly-relevant water leak detection devices and technologies, we are happy to collaborate with any reputable outside vendor or solution provider offering leak-detection systems. If you are talking with such a company, at some point either you (on behalf of your property) or the leak-detection vendor will ask each other, or us, some version of: "Do you integrate with BuildingLink?" This blog post will make you sound very knowledgeable when you respond! It’s important to define the phrase “integrate with BuildingLink.” Many people assume it means asking for a pop-up leak notification on their BuildingLink dashboard. But is that likely to be effective at 3 a.m. when nobody is looking at the computer? And, what else can be integrated? Here, we lay out some other integration options. At some point, you’ll need to identify the different areas in your building where your leak sensors are located (e.g. fifth floor, study, east stairwell, etc) so that you can respond promptly to alerts. BuildingLink already knows the floors, lines and locations of your property. You should use that knowledge! Accessing our "Physical Spaces" API will allow you to pull in space and unit definitions and layouts from the BuildingLink database. Your solution will need you to define locations within your building . Connecting your solution to BuildingLink would eliminate the need to code and record each sensor location, making for faster and easier implementation, and more integrated systems. Taking your integration one step further, you can include resident information. When the Smiths move out of apartment 2A, you will want any future leak alerts to be sent to the new residents' emails or smartphones, and not to the Smiths. Integrating your contact info with BuildingLink's saves you from having to also update your leak solution’s database, or from acting on outdated info and contact lists. Recording all of your “Alert: leak has been detected!” events from your leak detection system into the BuildingLink Maintenance Module, as a searchable “repair request”. To keep a running internal record of leak events that trigger your solution, you can access our Maintenance Requests API to write any leak occurrences to BuildingLink, under a specific category (e.g. “Leak Detected”) - linked either to the management unit or to the specific apartment where the leak occurred. Whomever is set up to receive Maintenance notifications (management, residents) would get an email and/or SMS, and a record of detected leaks preserves a useful history of problems and actions taken. When the bathroom in Penthouse A floods at 3 a.m. in December and the residents are away for the winter, a one time email or text message can easily be overlooked while the damage continues to build up. If you want to make sure that a real person will actually and certainly be contacted and notified, and if your solution provider does not offer a Central Station option and call-list function, BuildingLink can help you implement this option, by relaying to such a service any alerts it receives. We hope this answers your questions about how to knit together an external leak detection solution with your BuildingLink operations platform. To learn more about BuildingLink’s API, visit developer.buildinglink.com. To speak with someone about potential integrations, please email support@buildinglink.com . And make sure to stay up to date on BuildingLink’s own initiatives in the Aware! Sensor Solutions space, including as it relates to leak detection and automatic valve shutoffs..
We're always working on new innovations to make life better for our customers. Here's a rundown of the latest feature updates that we've released! Event Log: An “Internal Only” module has been added, for logging events that are not made visible to residents. Recurring Maintenance requests: Added “6 weeks” as a recurrence option. Pet Registry: Added option to export and/or print. Autodialer: Resident phone numbers are optionally hidden on dialing screens; staff whose privacy settings do not allow them to see this info can still use the autodialer to contact these residents. ImageR Package-Logging Module: Arriving just in time for the holidays, ImageR is an AI-powered, one-step, package-scanning solution. You can now enter packages in one simple step, using your Android device. All you need to do is download the GEO by BuildingLink app from the Google Play store (or update it to the current version, 2.0.0, if you’ve already been using it). ImageR is already included. Tap the ImageR icon, and start scanning! ImageR cuts package-logging time from 52 seconds to 8! Check out this video to see how fast and easy it is! Resident Insurance Tracking: Managers can now record details of resident insurance certificates, upload PDFs of the actual policies, and allow residents to update their own information. Module also provides a range of automated email options for promoting compliance, tracking expired policies, and getting residents to submit renewal information. Improved Resident Portal navigation: Features include new “Resident Services” section on the left-hand menu for all unit-related needs. More intuitive “My Profile” in the upper right-hand corner now replaces “Edit Profile” tab. - Attached Documents: Managers can attach amenity-specific documents or forms that are relevant to or required from residents. Residents wanting to place a reservation can then read whatever information is provided (rules, schedules, pricing options, etc.) or can be required to download, complete, sign, or submit forms (liability waivers, etc.). - New Concurrent Amenities Reservations: Via our “concurrent limit” rule, in situations where your building has multiple identical instances available of an amenity (i.e. six guest parking spaces, two party rooms, etc. ), you can now set a “maximum concurrent” rule, and define only one amenity, instead of defining multiple individual amenities. Maintenance photos entered by staff: New functionality includes the option to share images and make them visible to residents. A default value for staff maintenance photos can be set to “share” or “do not share” with residents, and can be overridden on a per-photo basis. Florida Condo Clients: BuildingLink Helps You Comply with New Legislative Requirements for Condo Documents! The Florida legislature recently passed CS/CS/HB 841: Community Associations, which you can read more about here. This post addresses a requirement, effective January 1, 2019, that condo and co-op buildings display certain documents outlined in the new legislation (Information begins at the bottom of page 9). How can BuildingLink help my building comply with the new legislation? We’re happy to let you know that you’re already covered when it comes to complying with the new rules! - BuildingLink features a fully-secured, password-protected, resident-only website. - We will add a note to the front page of your resident portal labeled "Notifications" to direct readers to relevant documents. - You can easily keep official association documents organized for review and updating. - There's a designated section where notices are readily available for your residents. - Residents and staff enjoy unfettered, anytime access to your library through a cloud-connected mobile app. Do I need a public-facing webpage for my required documents? We’ve reviewed the requirements and there's no verbiage in the bill that requires any public-facing documentation prior to the login and password page. What's the exact part of legislation that applies to us? Descriptions of the required documents are listed in the bill on page 9 of the new legislation. Click the here for a PDF version of the bill. "The notice of any unit owner meeting and the agenda for the meeting, as required by s. 718.112(2)(d)3., no later than 14 days before the meeting. The notice must be posted in plain view on the front page of the website, or on a separate subpage of the website labeled “Notices” which is conspicuously visible and linked from the front page. The association must also post on its website any document to be considered and voted on by the owners during the meeting or any document listed on the agenda at least 7 days before the meeting at which the document or the information within the document will be considered." Where do I post notices and documents? Your BuildingLink Library allows management-level users to store and share building-related documents (such as forms, notices, policies, or newsletters) with residents and staff. It’s both an organizational tool and a communication tool—you get to decide which documents you share and who you share them with. How can I let my owners know about the resident portal? You can let your owners know by issuing new login letters from your occupant profile screen or create a Resident Portal Flyer (editable flyer below). This information is designed to help your building comply with this new law and show you the ways in which BuildingLink makes it easy for you do so. If you have any questions about how to use these tools, contact us at support@buildinglink.com. BuildingLink, an online software innovator in residential property management solutions, announced its expansion to the West Coast with the hiring of Alexandria "Lexie" Pollock as West Coast Regional Sales Manager. Alexandria comes to the company with nearly a decade of property management experience, specializing primarily in the management of luxury high-rise condominiums. As the former General Manager for Marina City Club in Marina del Rey, Alexandria brings significant expertise in managing the daily operations of diverse and complex residential properties, including seniors who are "aging in place" in their condominiums. "We are really excited to have someone of Lexie's talents, experience, energy, and very high standards on our team, especially at the current time of tremendous innovation at BuildingLink," reports Jerry Kestenbaum, the Founder and CEO of BuildingLink. 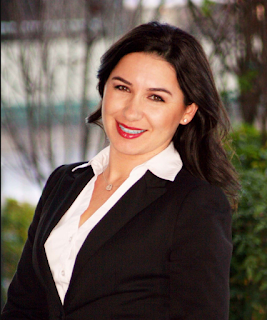 Alexandria's career in property management began with Seabreeze Management Company, Inc. in 2007, where she was the General Manager for various properties throughout Los Angeles. "I was fortunate to be a client of BuildingLink's for many years, and to see firsthand how this platform transformed the operation of communities. I am excited to be a part of a company that focuses its energy on the next decade of multi-family living, and on how to improve and enhance the daily lives of residents in their homes," says Pollock. "We've got big plans for Lexie!" says Kestenbaum. "Beyond her geographic responsibilities, she has a real enthusiasm and aptitude for promoting a range of our high-value initiatives that are international in scope, such as our 'Aware by BuildingLink®' advanced sensor-solutions initiatives, and our technology-enabled lifecycle offerings for senior independent living and other demographics." BuildingLink is the gold standard for property managers looking to enhance the total experience of people living in, working at, or managing luxury residential properties. Its innovative web-based platform is currently used in over 3,800 properties worldwide, offering the ultimate in efficient management, flawless communication, and enhanced living experiences for residents. BuildingLink is also a recognized industry leader in adapting and integrating state of the art technology – including, OCR, mobile apps, biometric scanners, voice recognition, and front desk key lockbox systems – to upscale residential communities in 34 states and globally, across 14 countries. If you would like more information about the BuildingLink platform, please contact Alexandria Pollock at 877.501.7117 ext. 608, or via email at alexandria@buildinglink.com. Bells and Whistles for your Custom Fields! So, we’ve been kind of proud of the way we have built the BuildingLink database, to be extensible by letting customers add their own data fields – whether to physical apartments, leases, personal dates, and data. You’ve made great use of this function – adding a total of 21,470 custom fields to date! But, you’ve been letting us get away with “custom field murder” … we’ve only given you two types of fields: a text box field, and a date field. Okay, well today we are going to start to make it up to you, with the FIRST of THREE really useful Custom Field Updates. We have two words for you: Boolean …. and ... Numeric! Pretty simple, right? Bet you can’t believe we didn’t have that yet. – Well, we didn’t! Numeric data types will allow you to limit a field to only accept numbers, and to include currency symbols and decimal places. This is particularly useful for tracking information about monthly dues, rent amounts, square footage, number of shares – or any fields that should be used specifically to track numeric data. And now, we have just four words for you: Drop down and Radio Button! TEXT BOX: Sometimes, you need the complete flexibility to type anything you want into a blank text box. This can range from tracking specific details about a unit’s construction, to writing in a Resident’s Access Card or Key FOB number. Our standard text box data-type will continue to accommodate these use cases. DROP DOWN: However, other information needs to be tracked in a more standardized way – usually if there is a specific list of options that could answer a given question. Our new drop down list data-type allows you to define what options are available for a specific field, limiting the range of options to standardize your data, while allowing enough flexibility for you to capture the information that you need! You might use this display mode to define the condition of a piece of equipment (i.e. Dishwasher: (New, Good, Worn, Replace)) or, to track something’s state (i.e. Membership Dues: (Paid in Full, Partial Payment, Due, In Arrears)). RADIO BUTTON: Finally, our new radio button display option will best be utilized in cases where there are a few possible options to choose from, like marking an apartment as 1, 2, or 3 bedrooms, or indicating a resident’s preferred greeting (was that Ms., Mrs., or Miss?). Okay, so that’s the FIRST of THREE really useful Custom Field Updates. (You did remember that we promised you three, right? Stay tuned for the next update, in about 2-3 weeks. It is a mucho powerful one! Have questions? Want to know more? Email us at support@buildinglink.com. 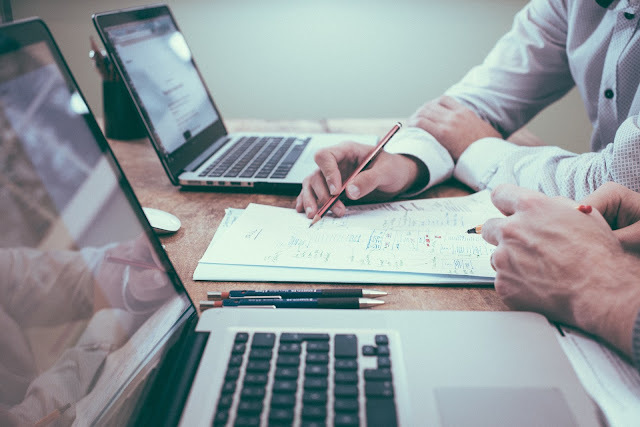 Property management depends on having both fluid and timely access to data – whether for payments and arrears, maintenance work, moves, and a host of other events that take place in a building or for pertinent resident information. At the same time, data privacy regulations and expectations call for limits on access to personal data to keep it protected. Integrity and trust are at the core of BuildingLink. We are dedicated to ensuring that the right data gets to the right people at the right time, and we are taking every measure possible to ensure our clients’ personal data and privacy is protected. With BuildingLink’s growing worldwide presence, we’ve seen an increased emphasis – both market-driven and regulatory – on ensuring client data protection and data access controls. While everyone is entitled to an expectation that their personal data is protected, property managers of buildings located in the EU and Canada have an extra bar to clear regarding what they do with, and where they put, their residents’ data. This update is aimed at advising all clients, and especially EU and Canadian clients, how BuildingLink helps them meet that bar. We’ve built (and continue to improve) our platform with your privacy in mind, by creating multiple “layers” of customizable options for crafting data access, use, and privacy rules that work for your property. At the lowest level, the platform provides controls for physical access to the BuildingLink site and data. All users are limited to logging in only to specific computers in specific physical locations via our “authorized computers” module. At a more micro level, you can set up niche, customized data access permissions for owners, managers, renters, and employees, according to what they need to perform their functions. For example, elevator operators could be given one level of access, while maintenance workers could be given another, according to the situation requirements. Taking Your Software to Europe? Don't Forget Your "Privacy Shield"! Maintaining balance to the extent that satisfies international data transfers across the Atlantic also requires an understanding of the law and what being compliant entails. It’s important to be up-to-date on data privacy because some major changes have just come into effect. The EU – U.S, Privacy Shield replaced Safe Harbor as the standard for sanctioned transfers of personal data between the European Union and the United States. From 2000 to 2015, the Safe Harbor Agreement governed the legal transfer of personal data from EU member countries to the United States. However, concerns about U.S. government surveillance programs – and the way social media companies transferred personal data across the Atlantic – brought the program’s effect into question. These concerns were at the center of a suit brought by an Austrian Facebook user, Max Schrems, that was referred by the Irish High Court to the European Court of Justice (ECJ) in June 2015 (case number: C-362/14). He argued that the United States does not provide “adequate protection”, and that U.S. surveillance programs like the NSA’s PRISM run counter to individual data protection. The court agreed with the plaintiff, and invalidated the Safe Harbor Agreement. In February 2016, the EU Commission announced the new framework called EU-U.S. Privacy Shield, and released the requirements for its certification. As of August 1, 2016, American companies could certify themselves as compliant. What's the Same and What’s Different about “Privacy Shield”? Though it’s a new program, the core of Privacy Shield is the same as that of Safe Harbor. Both were established as a self-certification program based on seven primary principles for legal data transfers: (1) notice, (2) choice, (3) accountability for onward transfer, (4) security, (5) data integrity & purpose limitation, (6) access, and (7) recourse. However, in light of Safe Harbor’s shortcomings, there are additional avenues for enforcement, including notice, opt-out options, reviews, an independent ombudsman, and EU citizens’ enhanced redress options. Accordingly, any business that aspires to certification must publicize its data management policy on its site, and then conform to it in its day-to-day practices. This doesn’t mean that it is etched in stone forever! The company can make changes, so long as it notifies the people whose data it collects in advance. If it fails to provide that notice, the FTC can take it to task. Along with the notice about its practices, the company has to provide a way for people to opt-out if they are not comfortable with the way their data is to be handled. Additional enforcement comes through the new supervision mechanism that stipulates compliance reviews by the U.S. Department of Commerce. The consequences for not being found in compliance could extend from sanctions by the FTC to removal from the list of Privacy Shield approved businesses. Another external check on compliance comes in the form of a new privacy ombudsman, who can hear complaints and queries from EU citizens. This is an important component of the program. It promises that Europeans will have different channels for communicating their concerns about their data usages. BuildingLink is proud to say that we fully live up to the Privacy Shield principles, and are listed among the certified Privacy Shield entities. Heading North of the border? Say hello to PIPEDA! Canada has its own set of regulations governing data privacy requirements. The Personal Information Protection and Electronic Documents Act (PIPEDA or the PIPED Act) governs how private sector organizations collect, use, and disclose personal information in the course of commercial business. In the real estate property management space, this has implications for both property managers and software products aimed at those managers. As one example, BuildingLink has added a series of data-aging filters to restrict access to resident activity data that is older than 30 days. The good news is, you don't have to be Canadian to take advantage of our data-aging filters. – They are an option for all BuildingLink clients! Being compliant really boils down to this: be clear about what personal data comes through your system – and how you are using it – so that people fully understand, and cannot later say they didn’t realize that their data was being collected. Keep up the code of conduct you set! If you have to deviate due to some change in your business operations, provide people with clear notice, so they may choose to opt-out. The above – and additional options – are all available on BuildingLink’s flexible platform, which allows the site manager to make sure that all data access and data use is purpose-built. Our BuildingLink team is happy to work with you to deliver a solution that is optimized to achieve your preferred balance of convenience and security. Contact us at support@buildinglink.com to learn more. Does “Smart Home” equal “Public Home”? Companies, privacy watchdog organizations, and many private citizens are figuring out the implications of the recent action by the Trump administration. This act was to roll back the FCC regulations regarding what internet providers can do with your internet use, browsing history, and data. An interesting article by Stacey Higginbotham discusses the question of what this “freedom to use private data” means, specifically for the smart homes and smart things (IoT) sector. So the ISPs know you have a Nest, a Wink hub, a Chamberlain MyQ garage door opener, and now if they want they can share that information with marketers. What's more concerning is whether or not an ISP can see the specifics of your home IoT devices. Do they know when your motion sensors are triggered or what temperature it is inside your home? Stacey also explains exactly what can and cannot be discovered by your internet provider, about what’s going on in your smart home. An interesting read! Look for connected devices that encrypt your data from the device to the cloud. This provides us with an opportunity to inform our users that our Aware by BuildingLink® sensor systems for residential buildings does just that! All our sensors use 128 AES encryption on all data packets to and from sensors to hub, and our hub-to-cloud connection utilizes an SSL protocol. Our aim is to build solutions for our clients that are useful, easy to deploy, but also very secure. We'd love to hear more about your sensor needs. Please feel free to contact us at aware@buildinglink.com.